Welcome to Boom 22, 2 month group, Sooner! No, it’s not for the University of Oklahoma, just fact that these blocks are due sooner than the other group. OK, not exciting but accurate! Please ensure that your completed blocks arrive to me on or before Thursday, April 11, 2019. Details follow below but anyone who has participated in a recent Boom knows the basics. Those who are rounding up, please send me 19 F8s. Those who aren’t rounding up, please send me 13 F8s. Please wash your yardage, press, remove selvages, cut into F8s (approx. 18x11, no smaller than 18x10), bag in a quart-sized or smaller baggie (the smaller, the better), label with your name and any requests and then put them into a large ziplock-type envelope inside your mailing envelope with your name and address on it. Remember, you will be shipping with tracking. All fabrics must be in my hands on or before Thursday, February 7, 2019 and I will turn around and send them out no later than Monday, February 11, 2019. If all fabrics are in earlier, I'll mail to you earlier. Please note that board participation is an essential ingredient in making this swap successful. So much information about the swap is found there, much more than I can possibly write in this sign-up post. Please understand it is your responsibility to read all posts and post at least weekly. Subscribing to your group’s thread is helpful. If something comes up and you cannot post, please have somebody email me. Absolutely no disappearing please! Shipping: When you mail to me, please do so in whatever manner you wish as long as you do so with tracking. Please review shipping rules below and be sure to send me the tracking number as soon as you get it. Be sure to include $8 for return shipping. If the money/prepaid labels are missing, I will hold your package until I receive it. No checks or Paypal please. 3) Please mail your F8s to arrive by Thursday, February 7, 2019. The earlier they arrive, the earlier they go out! Be sure to send me the tracking number as soon as you ship. 6) You are required to keep in touch with your group by posting to the dedicated Sooner thread at least once a week. This is a requirement. If you don’t wish to keep in touch, this is not the swap for you. You must supply me with tracking numbers on all parcels sent to me and I will do likewise when mailing to you. All shipping costs are your responsibility. You may ship to me in whatever tracked package you like however I will only ship to you in USPS Padded Priority Envelopes (unless other arrangements have been made) at the rate in force at the time of shipping. Today that cost is $8 but it may change at any time. Please send a pre-paid envelope or label or you may send me $8 in well-concealed cash and I will supply the envelope. Envelopes with “regular” postage stamps will no longer be picked up by my carrier but must be taken in person to the post office so please don’t send them. Please note: There is no guarantee all blocks will fit in a single padded envelope if you are in both groups. I will contact you to discuss options if that happens. Just sent my email to everyone. I'm off until later this evening. If anyone spots a problem or mistake, don't hesitate to let me know! Thank you! Hi fellow Sooners! I am thrilled to be in my first Boom swap! My fabric is all bagged up, just working on labels and color requests. Can't wait to start sewing! Here is the fabric I am sending. I am asking for blues and yellows. I'm kind of thinking of a sunny quilt. Blues and yellows are my happy colors, as well as my DH's favorite colors. Hi Everyone! I've got my fabric cut and ready for labels. They are stacked on my cutting table so I'm anxious to get them on their way (and out of my way!). Special welcome to our newbies. This is the most fun swap. You are going to have a ball. There are tons more books out there. Just be sure the pattern you are using is for a 12.5" (unfinished) block. Some of these sites and books have the patterns available in more than one size. Wow, thanks for all the helpful links, Sewbiz! I've used the Quilter's Cache before but I' haven't seen some of the other sites. 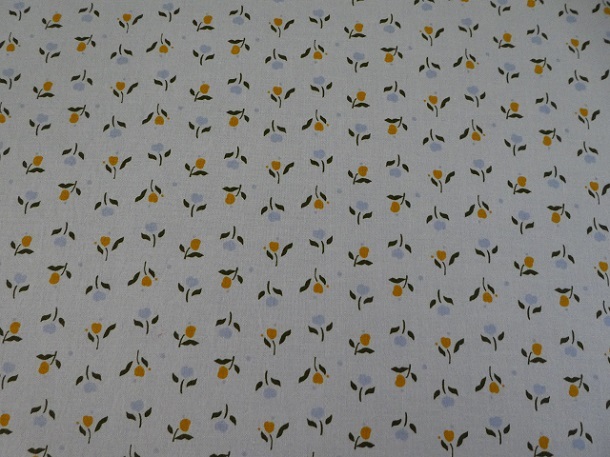 I've got several Jinny Beyer prints, I may try some of hers if my fabric turns out to be a good color for anyone. Hi Sooners! I see you've found the thread. Yay! THank you to everyone who has responded to my email. There are still a few more I need to hear from so if you haven't yet seen it, please check your email and reply. Libster, well, that stinks but lucky you had help right at hand. So, I see you are packaging up your F8s, getting them ready to go. Reminder about size - 10x18 but 11x18 is appreciated if you've got it. Labels with your board name on every small baggie are required along with your fabric requests if you have any (remember they are requests not requirements!) should be inside or on a label on the outside. If you don't have any requests, please let us know that, too. When those are done, please put everything inside a larger, gallon-sized ziplock that has your board name, group name, as well as your address in the event that a package comes undone during shipping. It may increase chances of getting back to you. It's not happened yet but that doesn't mean it cannot. (Now there's a lesson I keep having to learn!) Remember email me with your tracking number as soon as you get it. Do not post it on the threads. And while we're at it, be cautious if you take pix. Some people have posted pix of their prepped packages and both my address and theirs have been clearly visible in the photo. Be cautious! Anyone with any questions, let me know! I'll be around all day, on and off. I’m poking over here to see how everyone’s settling in and find SBG’s oh-so-very-helpful list of online block resources for us newbies I will be bookmarking those I’m not familiar with - thanks for sharing! There's one more place I found its http://www.delawarequilts.com/BOMs/index.html. It might have some of the same patterns as quilters cache. It does Queen but sometimes they give better instructions thn quilters cache does!! Patchworksquares is one of my favorites to look at! They have some unique easy to make blocks!! Good morning everyone! I'm getting everything packaged today so I can mail to Janice tomorrow. 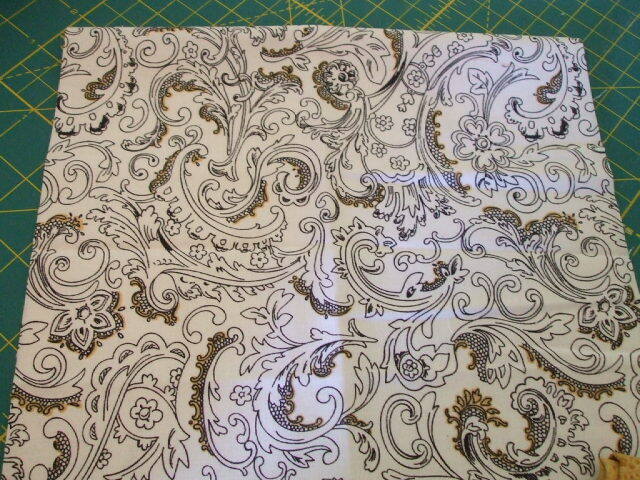 This is the fabric I have chosen for the "Sooner" group and am asking that you use the dark gold in the fabric and/ or a solid black for your blocks. Please try to use only solids or tone on tones, no other prints. Excited to see the blocks you come up with, these Booms are always so fun...can't wait! I'm a later, but had to check in on my "boomer sooners" (for you Kass). Jaba, that fabric is fantastic, I have the perfect gold, but I'm in the wrong group. I'll be excited to see the blocks everyone comes up with. Thanks for posting all the links Sewbiz, some new ones to check out. Delaware Quilts is another good site for blocks! I bookmarked it. All of the sites have some 'overlaps'... and all the books too. It's just nice to have different formats to work with. I like the sites that show a picture with the block name, better than those with just a name you have to open to see the block. jaba - that looks really fun! I know I've got some fabrics that should work fine with it. Good morning, Sooners! Last night I received the first tracking number. Woo hoo, Mona G. Now it feels official. Have a lot very day everyone. I miss hit keys frequently. Good morning, Sooners! Last night I received the first tracking number. Woo hoo, Mona G. Now it feels official. Have a lovely day everyone. Hello. just registered as a member with Quilting Board. Have no idea what's going on here but it sure sounds like fun!! It is fun! We’ve just begun our swap. This one takes about three months to finish. Check out post #1 for details and follow along if you’d like. If it interests you, maybe you can participate in the next one. Welcome to the QB! Mailing my package today... sent tracking # last night. My F8s are on their way to you, Janice, as of this morning. Tracking number has been emailed to you. Sorry to hear that your Kenmore is ailing! Sure hope it's nothing drastic. The last time I cleaned mine on the inside, I put the bobbin case back in backwards. No way, no how would it sew! Had me sweating bullets until I got it figured out. She's purring now. I'm going to start on this group first when our F8s come back to us. So ready for the fun to begin! Jaba, I love your fabric. L'il Chickadee, welcome to the board! Maybe you'll swap with us for Boom 23. I was going to mail my fabrics off today but I heard on the radio of all of the accidents on the roads from the freezing rain that came down and we are suppose to get 1 to 4 inches of snow on top of that. Hopefully tomorrow I will have them in the mail.